We call him the ‘Devil’s advocate’, the ‘maverick lawyer’, the ‘rebel’, the ‘genius’ and the ‘flamboyant’. Every word adorns Mr. Ram Boolchand Jethmalani like a badge of honor. The illustrious crusader turns 91 today, with his journey stretching across time and territory. The eagle’s flight to fame has had its own ups and down, but we’ve always seen the man standing tall, being nothing short of a legend. Though controversy has crossed his path several times, this Rajya Sabha MP and former Union Minister, has never shied away from life's unpredictable verdicts. ‘I charge high fees but 90% of my practice is free’; one of the many lines that have risen him to the status of a marvel and enables the legend to establish a name for himself in the legal paraphernalia. After being given a triple-promotion in school and completing his LL.B. at the age of 17, he was too young to join the Bar. He persuaded the Chief Justice of Sind to pass a special resolution to relax the rules and entered the profession with a vengeance. He charged Re.1 as his fees from the first client. The journey after that has been stupendous, with precedents set and judicial history rewritten. He is not the country’s highest paid lawyer for nothing. His speeches are more often than not, enlightening, hooking every person to every word he utters, charming everybody with his, wit acquired over decades. He has often been termed as an enigma, increasingly making media headlines, receiving bouquets and brickbats in equal measure. From defending the killers of the former Prime Minister Indira Gandhi, as also the likes of Harshad Mehta and Ketan Parekh, to opposing the death sentence of Afzal Guru, he has never shied away from courting controversies. He is at ease representing DMK MP Kanimozhi and Unitech managing director Sanjay Chandra in the 2G Spectrum scam, while simultaneously fighting to bring back the black money stashed away in foreign countries. He has a penchant for making startling (and often unfounded) public revelations as was evident during his defence of Harshad Mehta. It’s this blunt honesty that has won him both friends and enemies. When made a minister, he was allotted a standard-issue white Ambassador car. He preferred to use his own Mercedes Benz. 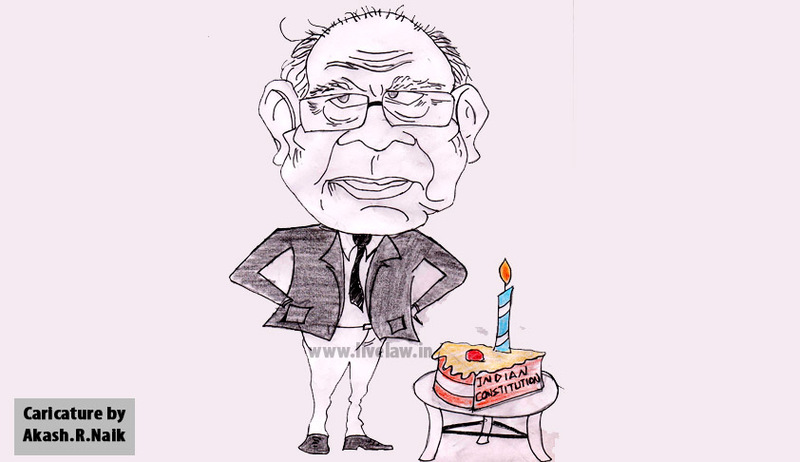 If there is one man who can swim against the tide of popular opinion, it is Ram Jethmalani. He has increasingly stated that he stands for his own views, rather than indentifying with any particular philosophy or political party. The man believes that there is no cut-off age for love and often finds himself pondering over understanding God, asking himself, why God created the world. When I see children suffering, I wonder: what is wrong with God? Is he a sadist? What began in courtrooms across the border has meandered across the corridors of power. As he out-rightly claims the non-existence of conscience, Mr. Jethmalani became a member of the Rajya Sabha in 1988. Since then, he has been actively involved in the political front of the country, following which he became the Union Minister of Law, Justice and Company Affairs in 1996 in the Government of India led by Mr. Atal Bihari Vajpayee. During the second tenure of Atal Bihari Vajpayee, he was given the portfolio of Union Minister of Urban Affairs and Employment in 1998. But on 13th October 1999, he was again sworn in as the Union Minister for Law, Justice & Company Affairs. However, he was asked to resign by the Prime Minister following differences with the then Chief Justice of India, Mr. Adarsh Sein Anand and Attorney General of India, the renowned Mr. Soli Sorabjee. He was inducted into the Cabinet on the then Home Minister, Lal Krishna Advani’s insistence. Mr. Jethmalani had also announced his candidature for President of India stating “I owe it to the nation to offer my services” and launched his own political fronts, the Bharat Mukti Morcha, launched as a ‘mass movement’ in 1987 and in 1995 he launched his own political party called ‘Pavitra Hindustan Kazhagam’, with a motto to achieve transparency in functioning of Indian Democracy. Caricature Courtesy: Akash.R.Naik, Karnataka State Law University.